In Java Collections, all the elements are stored as object type. Whenever an element is retrieved from the collection the element will be in an object type and down casting has to be done. The collection doesn’t have any limit of size. It can grow dynamically. The Java Collections API provides several behaviors through which elements of collection can be accessed. Collection framework classes either use array underneath or use more complex data structure. When an array is simply an array. Array does not have methods such as the ones provided by Collection classes. For more detailed overview on array click here click here . Differences between arrays and collections. Array stores homogeneous data . Where, Collection store both homogeneous as well as Heterogeneous data. In Array , there are no underlined Data Structures, whereas ,Collection has Underlined DS. Array is recommended in performance , whereas Collection is not. Array use more memory space compare to Collection. List is a type of Java Collections. List interface defines standards for storing elements in the list format. It stores elements sequentially. Elements are auto indexed. Gets the elements based on index. ArrayList ,vector and linked list implements List interface. LinkedList is both List and Queue. For more detailed overview on interface click here. The following is an example for the list. Set is a type of collection. Duplicate elements are not allowed. Set is a unique collection of elements. Hashset,LinkedSet and Tree set implements set interface. Set defines standards to store elements uniquely. Set elements are referred using iterator. Java Collection provides an iterator object, to iterate the elements of the collection. Iterator can be used on list type,queue type and set type. Iterator provides a method by name “next” to get next element from collection. The hasNext() method returns true if the collection contains next element otherwise false. The remove() method removes the element from collection. The following is an example for the set. The main difference between the list and set is that Listcan contain duplicate elements whereas Set contains unique elements only. When compile the code following is the result. Queue defines standard to store elements in FIFO. Queue is a type of Java Collections. All elements are added at rear. Priority Queue, LinkedList implements Queue. Elements are referred in FIFO. The priority queue class stores an element in a random order. Before storing element Priority Queue compares and stores it in natural sorting order. Whenever user print Priority Queue reference variable it prints the element of the queue randomly. Head element of the queue can be obtained by using a method poll(). The poll() method removes head element from the queue. For each poll() method execution queue size will be reduced. To retrieve or see the current head element user can use peek() method. Whenever user add an element to Priority Queue element should be of type Comparable. 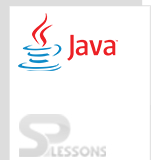 Its an interface available in java.lang package which defines a standard to compare any 2 same type object.? The following is an example for the queue. A map is a collection of “key -value” pairs where a key is mapped to the value whenever an element is added. Key is an index for the value key is a unique type of collection which doesn’t allow duplicate elements. Values can have duplicates element. Both key and value can be null. The following is an example for the map. The Hashtable and HashMap are utilized to store information in key and value form. Both will use hashing technique to store unique keys. The following are the some main difference. For more detailed overview on synchronization click here . Collection API provides a class by name collections which contains sort method used to sort any type of collection. The sort() method sorts the element only, if its comparable Type.The sort method calls compareTo() method of comparable type object and sorts element of collection. String class and wrapper classes are comparable type hence we can sort any collection which contains string or wrapper type object. The following is an example for the sorting. If user defined class is developed and have to sort the object then it should be of comparable type class and must implement comparable interface. In compareTo() method one can define the sorting criteria based on the field of a object. One can also use Comparator class to sort any type of collections. Collection represents a single unit of objects. Java HashSet class contains unique elements only.